Feel like a queen in awesome Sade jewellery set. The necklace features two chains embellished with tiny gold spheres and round-cut clear crystals, an array of dangling metal chains. 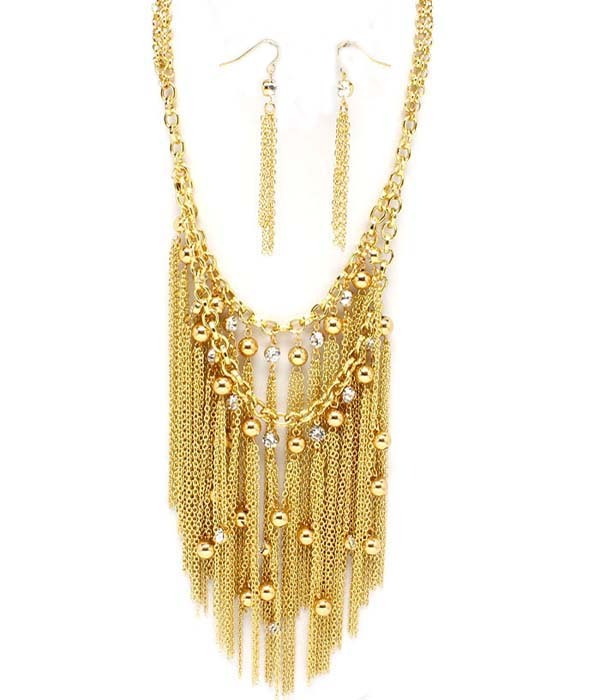 The earrings consist of long exquisite chains of gold tone. Shop from Australia's largest range of necklaces online here and now!